Will Garuda Indonesia Order Airbus A320’s To Replace Cancelled Boeing 737 MAX Orders? Some airlines are expecting Boeing to pay for costs incurred from the grounding of the 737 MAX. However, one airline is going a step further. 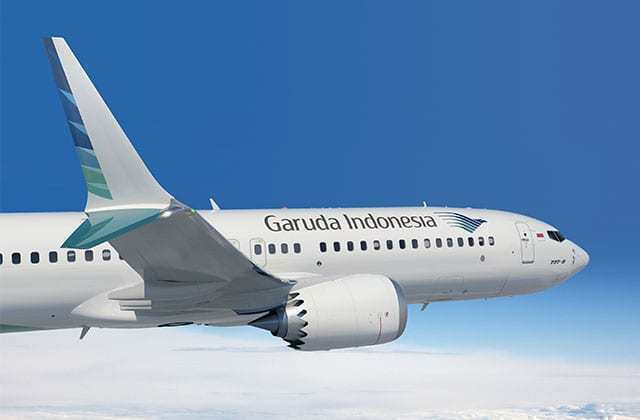 Garuda Indonesia, the flag carrier of Indonesia, has sent a letter to Boeing requesting the cancellation of their order for 49 Boeing 737 MAX 8 aircraft. 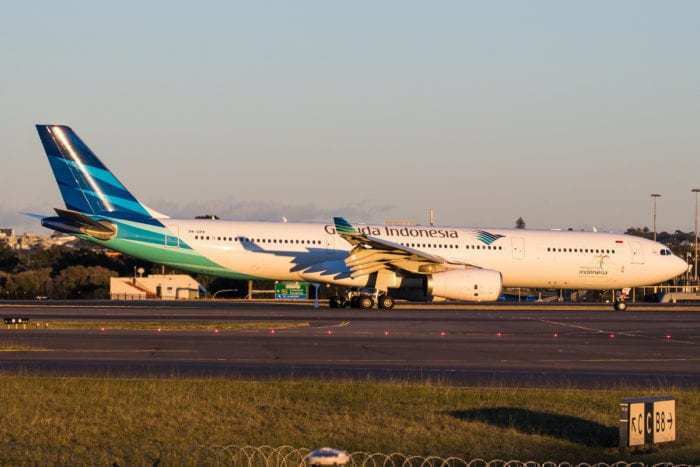 Although the Indonesian carrier acknowledges Boeing is intending to fix the MAX, passenger confidence has been likely lost, making it hard to operate flights with the aircraft. Will an Airbus A320 order replace Garuda Indonesia’s cancelled 737 MAX orders? As yet, Garuda has no plans to add Airbus narrowbodies to their fleet. Boeing representatives have agreed to meet with the airline in Jakarta next week “for discussion and negotiation” regarding the request to cancel their order. The discussions may involve converting their 737 MAX order to a different Boeing aircraft. If the cancellation request does move forward, Garuda will need to find a narrowbody replacement for the aircraft they have on order. The focus for the carrier will be to find an aircraft which offers similar functions and seats as the 737 MAX. The most likely option is clearly the Airbus A320neo, which shares similar fuel efficiency, range and passenger capacity. The A320neo and 737 MAX each come in three variants. The A320neo features two engine choices: the CFM LEAP-1A and the Pratt & Whitney PW1100G GTF. Geared Turbofan (GTF) engines are highly popular in next-generation aircraft worldwide, powering the Airbus A220, Embraer’s E-Jet E2s, the Russian-built Irkut MC- 21s, and the Mitsubishi Regional Aircraft (MRJ). 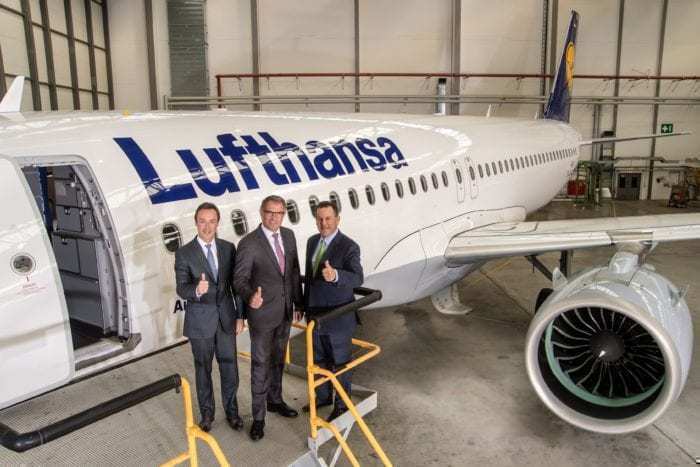 CFM International is the sole supplier for the Boeing 737 MAX, which will feature the slightly smaller LEAP-1B. As the 737 MAX was launched with an older, and therefore less optimized, airframe. Boeing invested more in aerodynamic improvements to squeeze in additional fuel efficiency. The improvements that Boeing made delivered an additional 2% fuel economy to the new engines. The 737 MAX 8 has a range of 3,550nm (6,570km), compared to the Airbus A320neo that clocks in just below the MAX at 3,400nm (6,300 km). In a two-class configuration, the MAX 8 can accommodate 162-178 passengers and the Airbus A320neo holds 165 passengers. It’s clear that the 737 MAX 8 is the better option in terms of performance. However, it comes at a higher list price than the Airbus A320neo. If Garuda Indonesia does make an order for the A320neo of around 50 aircraft, it’ll most likely receive some discounts from Airbus. The A320neo would make a delayed entry to their narrowbody fleet, taking approximately five years to begin delivery. It will also mean an increase in the training and maintenance costs for the airline. However, a transition over to the A320neo for their future aircraft would probably be worth it, if it means passengers will fly with Garuda Indonesia. Do you think the Airbus A320neo would be the best replacement option for their cancelled 737 MAX order? Let us know in the comments! It’s not likely to believe that passengers on the long term will be decicive on aircraft type, exept it’s recently involved in a not (jet) clearly concluded accident. On lots of destinations it’s one carrier flying one aircraft type, so there is no alternative. Boeing aircraft have a tremendous safety and reliability track record. But it’s hard to be understood why they acted as they did in this software issue after the Lion Air disaster. Yesterdays worldwide advertisement campaign didn’t solve this either, let’s say on the contrary. Switching to an Airbus equivalent will retard Garuda’s growth capacities. Garuda’s move now is just debatable politics, obtaining an extra discount on their ordered 737 Max aircraft and unfortunately it’ll work out for them. Comparisons on list prices are worthless while those prices are on one hand weaker then air and on the other hand extremely complicated. An aircraft is nor a bread at the butchers, nor even by far a car. So they’ll gratefully stick to their 737 MAX order after the aircraft’ software update worldwide is thoroughly in the next few month certified . Remember Garuda’s subsidiary has 8 Airbus 320 neo in service, and 27 on order. It may be possible for Garuda to take over the Airbus 320neo of its subsidiary. Then, it may look at filling the void in Citilink’s fleet if the A320neo go to Garuda. Perhaps perchasing A220s for Citilink may work as there may be a shorter waiting time for the A220. Alternatively, instead of taking A320neos from its sister airline, Garuda may look at leasing A320neos from lessors. – they have read the articles published on Internet ; due to the systematic effort of Boeing to limit progress compared with the previous aircraft version, just to avoid the need for time consuming and expensive training of the pilots, tells everything about the deeply careless attitude of Boeing about basic safety considerations they used to make a priority in the past, when they preferred pilots to be able to control an aircraft, rather than giving priority to automation. – The A321neo/NMA (797) suits their needs to open many flights such as Jakarta-Mumbai and Jakarta-Manila. – Transferring A320neo orders from Citilink can end in disaster. And in regards of the A320, Garuda is planning to replace their entire ATR 72 and CRJ fleet with A220s. As a customer, I will say that I will never book a flight that operates a Boeing’s airplane from now on. I am shocked and angered by the recent airline tragedies that were caused by Boeing carelessness and hunger for profit. Despite what “experts” might claim about the upcoming software fix, I don’t believe I can put back my trust in a company that puts profit before safety.